Just a quick post to show my current WIP project. 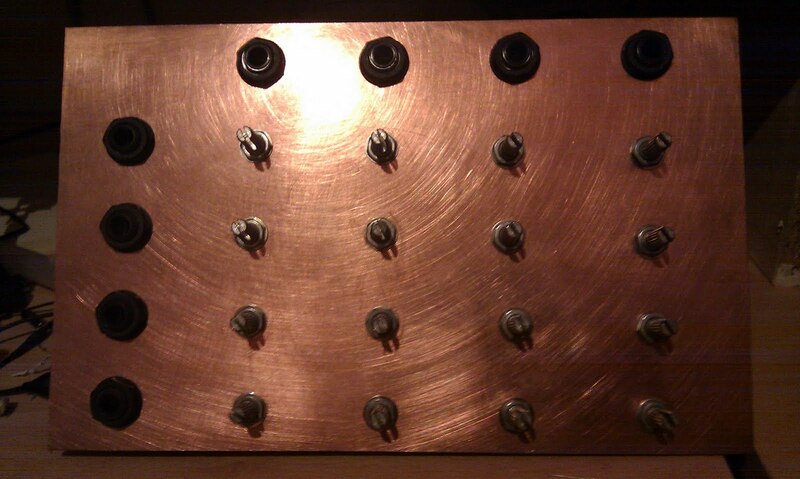 It's a 4 x 4 passive matrix mixer. A matrix mixer is a mixer that allows you to create 4 different mixes from the same 4 inputs to 4 separate channel outputs. The beauty of this is when you begin to send outputs back to inputs. 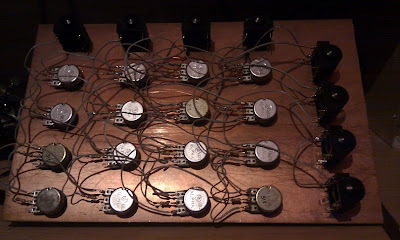 I'll hopefully find time to finish this this week and post some audio. Cool man, just got to play with mine tonight having finished the wirung, I'm impressed by the possibilities. Nice website by the way I'll add a link here. Link reciprocation occurring as we speak! cheers pulsewidth. Would be great to see your latest stuff. Read something you enjoyed!? Want to buy me a coffee?! ?